Dr. Barrios completed training in Family and Community Medicine at the University of Calgary, Alberta. He is a Clinical Assistant Professor in the School of Population and Public Health and a Clinical Associate for the Department of Family and Community Medicine. The Royal College of Physicians of Canada granted Dr. Barrios a fellowship in Community Medicine in 2002. Shortly thereafter, Dr. Barrios co-lead the Urban Primary Care redesign for Vancouver Community (VCH). In 2003, he successfully led the HIV care redesign in his role as Assistant Medical Director at the John Ruedy Immunodeficiency Clinic (IDC). 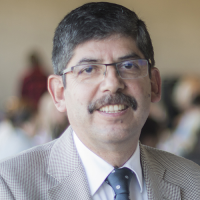 In 2005, Dr. Barrios joined the BC Centre for Excellence in HIV/AIDS (BC-CfE) as Assistant Director; in this capacity, he leads important programs in the areas of patient safety, pharmacovigilance and continuous quality improvement. Dr. Barrios is also the Senior Medical Director of Vancouver Coastal Health, Vancouver Community.